Little Caesars have always prided themselves on their low prices. They have gone out of their way to undercut their competitors, and you will struggle to find cheaper pizzas. In the early days, their “Pizza! Pizza! campaigns were based around the notion that 1 pizza at a competing chain cost the same as 2 pizzas from Little Caesars. 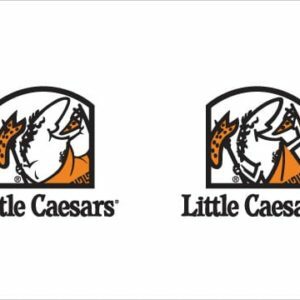 And as discussed on the Little Caesars main page, they even went to the trouble of sending two pizzas at a time (both in the same box). What Time Does Little Caesars Open? It depends on the day and the location, but in most cases Little Caesars opens at 11:00am. This is true of most days of the week, including Saturday. However, Little Caesars tends to open a little later (often by just an hour) on Sunday. Most Little Caesars locations will be shut by 10pm. This is true of Sunday, Monday, Tuesday, Wednesday and Thursday. However, on the high traffic days of Friday and Saturday Little Caesars tends to stay open for an extra hour or two in most locations. 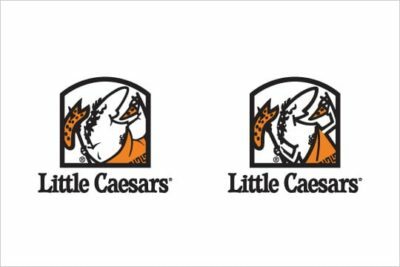 In later years, Little Caesars would stick to single pizzas, merely reducing their prices to ensure that the 2-for-1 principle remained, but that they didn’t have to ship 2 pizzas at a time to prove it. Little Caesars have also previously offered a pepperoni pizza, which is the most popular pizza in the world (as discussed on our National Pizza Day page) for just $5 each. But even when this promotion ended and the pizza returned to full price, it was still available for just $6. A similar pizza at other chains would cost you closer to $10. This $4 means a lot if you’re on a budget. It also makes a massive difference if you’re buying for a family, a group or for a party. For example, an order of a dozen pizzas, a couple dozen sides and a selection of drinks could set you back an entire pay packet at a competing restaurant. But at Little Caesars, this can all be yours for around $100. If there is a better excuse to throw a pizza party, we haven’t heard it yet. With that in mind, let’s take a closer look at the Little Caesars menu, including all up-to-date prices. How Much is Little Caesars Pizza? The Little Caesars menu has some of the cheapest pizzas that you will find anywhere. There are few better or cheaper places to grab a hot slice of everyone’s favorite Italian food. You can pay as little as $6 for a pizza (large, like all pizzas on the Little Caesars menu), and that includes all different flavors. That’s incredibly cheap, which is why the Little Caesars menu is so popular and why so many families and hungry pizza lovers keep flocking to this chain. 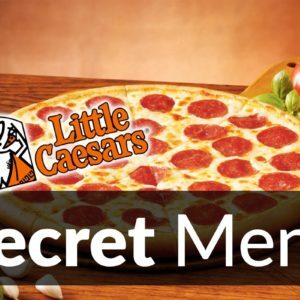 The low prices are also reflected on all of the sides, the drinks and on everything else that you can find on the Little Caesars menu, as you can see from the tables shown on this page. How Many Slices in a Little Caesars Pizza? There are 8 slices in a Little Caesars pizza. Usually, we would tell you that it depends on the size of the pizza. But at Little Caesars all pizzas are large, which is 12 inch and which means you get 8 slices of pizza for every pie that you order. Why is Little Caesars so Cheap? Little Caesars has focused on keeping prices low from the very beginning. It’s one of the reasons they have been able to grow so big and to compete in such a fierce industry. But while they may seem very cheap, there is still plenty of room for profit. After all, it’s pizza. It’s dough (flour and water) with a little sauce and cheese. If you pay people minimum wage to make those pizzas and serve them, and if you put some stores in prime locations, then you can turnover a significant profit with very little effort. That is exactly what Little Caesars have done. So, even though the Little Caesars menu is very cheap, there is still plenty of profit in everything that they sell and still more room for further discounts. If you think they are cheap, just take a look at the Papa Murphy’s menu. The single sized pizzas also help them to reduce waste, speed up the preparation and cooking time, and keep those margins high. Smaller pizzas aren’t very profitable for pizza chains but they feel a need to offer them. Little Caesars just avoid doing this altogether. It means that anyone who would usually order a small, now just orders a large and then probably leaves half of it. To them, it’s wasted pizza, but to Little Caesars it means thy have managed to sell some extra pizza to a person who wouldn’t have usually ordered it. How Big is a Little Caesars Pizza? All pizzas on the Little Caesars menu are Large. It’s one-size-fits-all, and it’s the size that typically gets most orders. A Little Caesars Large is 12 inches.